Full video at the end of the post. In the mean time, here is the second sting video dropped by Center for Medical Progress which is designed to bring attention to Planned Parenthood’s policies and practices related to organ and tissue donation and/or sale. I will reserve comment on this video until I see the uncut footage. In the mean time, comments are welcome but name-calling and disrespectful comments will be deleted. Discuss the video, the full version, the ethics of secret recording, the ethics of donating and/or selling tissue and other issues. I don’t mind expressions of support for abortion or opposition to it if done without demonizing those who think differently. That word haunted me as I watched the undercover video of Planned Parenthood’s Senior Director of Medical Services Deborah Nucatola describe the care taken by abortion providers when they decide where to crush a fetus. Under different circumstances, a physician would take similar care not to crush the baby anywhere but in this case, care is taken to avoid damaging tissue which might have market value. This is hard to process. Kermit Gosnell missed an opportunity. He kept body parts in jars. Apparently, there is a market for them. Of course, this video should lead to a legal and Congressional investigation. 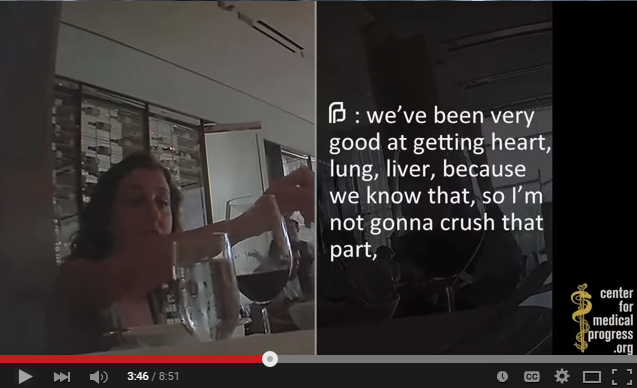 This video, even though heavily edited as Planned Parenthood points out in their rebuttal, raises enough questions and concerns that an investigation is warranted. Perhaps, we will find everything PP did was legal. Even if so, we may decide that some things should not be legal. Anyone who has delivered as many babies as I have, and has seen hundreds of living and dead embryos and fetuses being spontaneously aborted as have I, knows exactly what we are doing when we provide an elective abortion for our patient. We are ending the life of an embryo or a fetus. Not the life of a person, but certainly a creature that might have become a person under other circumstances. This video (see below) may lead to an investigation and discovery of wrongdoing. But it will almost certainly lead others to reflect about what happens in an abortion. I doubt any laws will change but I suspect some minds might. Did Limited Access to Abortions Keep Kermit Gosnell in Business? On one hand, the responses of Planned Parenthood and the National Abortion Rights Action League (NARAL) have not surprised me. Because they are advocacy groups, I expected them to defend abortion even as they applauded the verdicts. On the other hand, I wondered if perhaps they would seek some common ground. Surely, everyone should be able to agree that killing babies after they are born should be condemned. In addition, it seems that all concerned should welcome strict enforcement of laws regulating abortion as a means of finding and stopping any future Gosnell-like clinics. Such reactions are not happening. It seems to me that these statements confirm the worst fears of every pro-life advocate. Whether deliberate or not, by failing to even mention the murder of infants, these groups communicate a callous disregard for the lives of these children. NARAL spinners find numbers they like, but regarding both regulation and funding, they miss the facts of this case. Regarding funding, sources existed to pay for abortions at Gosnell’s clinic or for options other than his clinic. Delaware Pro-Choice Medical Fund paid for abortions at Gosnell’s clinic as well as at other abortion providers around the Philadelphia area. In fact, this funding source and others helped keep Gosnell going. In 2007, three representatives from the Delaware Pro-Choice Medical Fund toured Gosnell’s Womens Medical Society in West Philadelphia. They saw nothing wrong. Even though the representatives were greeted by two people who called themselves doctors, the funders did not check credentials and continued to pay for abortions at Gosnell’s house of horrors. 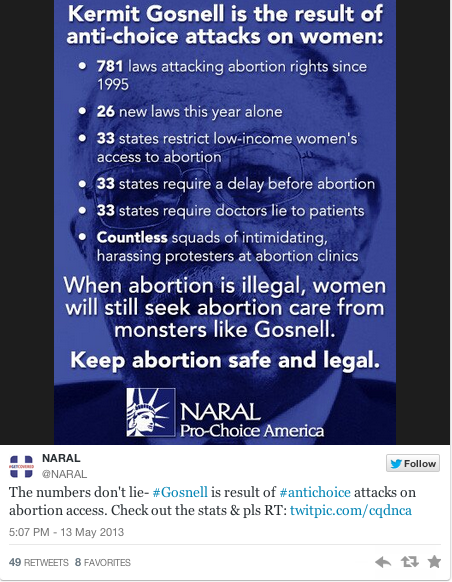 When Gosnell’s crimes were first exposed in 2011, pro-choice advocates blamed the Hyde Amendment for driving women to low-cost providers like Gosnell. At that time, I responded that Gosnell had access to funding for the women who were seeking his services. As noted, various medical funds paid for abortions at his clinic. As this rate sheet demonstrates, it appears he billed Medicaid for allowed abortions. I suspect he stretched the truth on some of those billings. As is now obvious, none of these funding sources provided adequate oversight. The funding was there but the horrors continued. Despite the smoke screen from NARAL, one central issue in this case, whether one is pro-life or pro-choice, is the appalling lack of regulation of a so-called medical clinic. …there was a concern that if they did routine inspections, that they may find a lot of these facilities didn’t meet [the standards for getting patients out by stretcher or wheelchair in an emergency], and then there would be less abortion facilities, less access to women to have an abortion. Worries over access kept Gosnell unregulated. Generally, pro-choice advocacy groups oppose laws which tighten oversight on clinics. Why should those who operate properly fear rational regulation? Only those acting in the darkness fear the light. For the sake of women and babies, let the light shine. 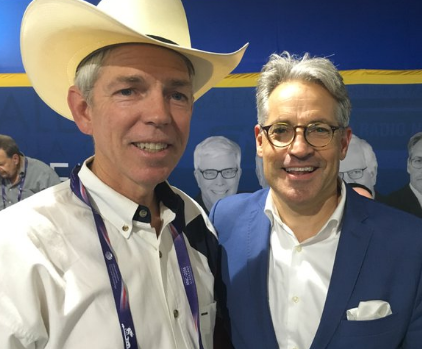 Author Warren ThrockmortonPosted on May 14, 2013 Categories abortionTags abortion, kermit gosnell, naral, planned parenthood94 Comments on Did Limited Access to Abortions Keep Kermit Gosnell in Business? A variety of sources are reporting what is emerging from Philadelphia. The first source I saw was this tweet from J.D. Mullane, reporter for the Bucks County Courier Times who is in the court room. Here is the AP story which provides more details. According to Mullane, he is guilty of most of the other 200-plus counts against him. #Gosnell also found guilty on most of the more than 200 counts of Pa.’s “informed consent” law requiring a 24-hour wait. Interested in the DHHS controversy over contraception? Americans of all faiths have a right to practice their religion free from the fear of persecution or harassment from their government. Our nation’s founders believed this and enshrined religious freedom into the First Amendment to the Constitution. While some Americans may not feel that government mandates forcing them to pay for contraception are an infringement on their religious beliefs, others consider it to be an assault against their freedom of conscience. A government policy that encroaches on the conscientious objections of religious groups concerns all Americans who value the protections of the First Amendment. Today, the committee will hear testimony from leaders of different faiths. They are concerned that government, under this Administration, is encroaching on their First Amendment rights. The Administration’s actions have forced us to confront a more fundamental question about the proper role of government in our lives. This hearing is about basic question of religious freedom, and whether or not protection will be afforded to religious institutions who wish to follow their conscience in refusing to pay for products they find morally objectionable. I look forward to hearing from today’s witnesses. In the Planned Parenthood expose video revealed today, clinic manager Amy Woodruff (who has now lost her job) refers to the Metropolitan Medical Associates (the actor on the video says Metropolitan Medical Association but this appears to be the same place) as a place where teens can get an abortion with minimal oversight and no identification. After being down for at least a couple of days, the MMA website is now working. One may also find a link to the clinic at NewJerseyabortion.com, a portal that also links to Women’s Choice Medical Center in Hackensack. The Women’s Choice Medical Center is a smaller clinic than MMA and does abortions for women who are under 14 weeks along. MMA does abortions for women under 24 weeks, according to a source at the clinic. Recently, the organization has had some medical and regulatory problems. In 2007, the clinic was temporarily shut down due to a failed inspection of the facility following the death of a patient. The patient died as the result of a failed abortion. The inspection revealed dirty and unsafe conditions. After the incident was reported [the death of the patient], state inspectors found dirty forceps, rusty crochet hooks used to remove IUDs and a quarter-inch of dark red “dirt and debris” under an examining table in the Engle Street clinic. The state let the facility reopen in March 2007. Regarding the claim on the Planned Parenthood video that MMA is an easier place for a teen to get an abortion, I note that the front page of the clinic website promotes the fact that one does not need parental consent in NJ. Most of the pictures seem to be of young teens. On the what to expect page, I could find nothing spelling out if there are any age restrictions. 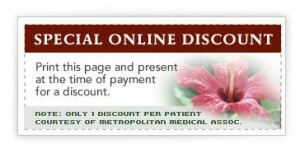 There was also an online discount coupon with a restriction on one use per person. UPDATE: The clinic manager at the center of this controversy, Amy Woodruff, has been fired. Planned Parenthood condemned the manager’s actions but also had harsh words for Live Action, the group that conducted the sting. CBS News covers the controversy over the Planned Parenthood video released today showing a PP clinic manager referring a man posing as a pimp to an abortion clinic where underage abortions can be secured, and appearing to help the actors skirt the law. The latest release follows similar undercover video releases from young conservative activists, most notably the James O’Keefe-led ACORN videos. And like those videos, which were later revealed to have been selectively edited, this one has immediately generated controversy. The video is below. By the way, the Live Action group has no association with James O’Keefe. The unedited footage is here and here. Woodruff certainly does seem to be operating in contrast to what she believes other staffers would do so I do not dismiss Planned Parenthood’s statement lightly. I will watch closely to what “appropriate action” PP takes. Given that PP has acknowledged that this manager is one of their employees, I don’t see how supporters of PP can do anything but condemn the actions portrayed here. This incident, along with the clear lack of regulation of abortion clinics recently uncovered in PA and DE, makes a convincing case for more stringent oversight of abortion clinics. As noted in the Philadelphia grand jury report, legitimate operators will not mind this.